Big Crown Records is proud to present the reissue of this uber rare underground cult classic Running The Mardi Gras by Boco. Those lucky enough to find an original copy are paying upwards of $1000.00 for this truly unique psych rock / funk gem on 45. 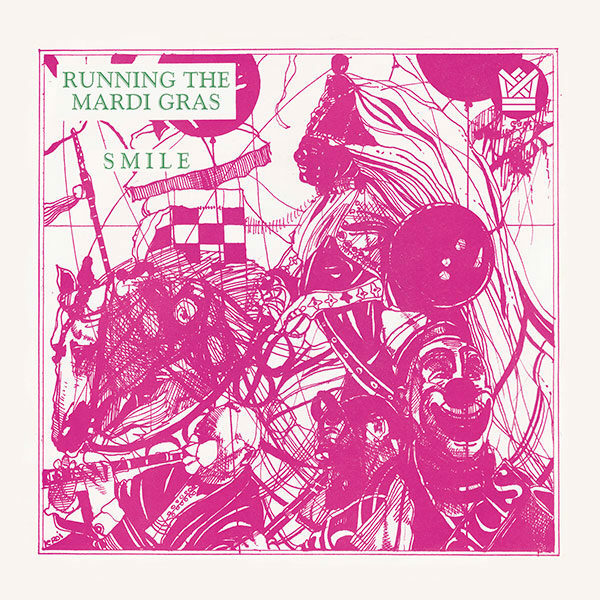 From the title to the sound to the cryptic lyrics “Running the Mardi Gras” seems to confirm all the mystique that surrounds the southern Louisiana Bayous and Cajun culture. This record is a family affair. It started one morning when one Mr. Latour, the father of the group, was shaving in the mirror and a song struck him. It was to be about Mardi Gras, not the beaded revelry of New Orleans familiar to most, but the traditions of rural Louisiana, where one would “run the Mardi Gras,” going house to house getting home cooking from the neighbors. He would sing the song every day in the car and the children of the family soaked up the spirit of the song. Playing and performing was just part of life for the family. Mr. Latour had bought studio equipment for his children to record on, which he kept in their house. Growing up in the shadow of New Orleans, the Latour children listened to the sounds of Funk and R&B that came in on the radio, which was the biggest influence on the family projects’ sound. Together the four Latour children, with the eponymous Boco Latour on lead vocals, and a couple of local musicians recorded “Running the Mardi Gras” in the Latour home. Feeling that they really had something, the makeshift band decided to record a b-side. The guitarist had a song he had been working on and they recorded what would become “Smile” as well. The two songs were pressed under the Laughing Eye label, nothing more than the heading under which the Latour family released their music, and mostly sold the 45 at gigs around southern Louisiana. The recorded output under Laughing Eye was understandably limited, but locals still remember well Boco’s powerful voice from her shows in clubs around the bayous. Boco and George Latour still live around Baton Rouge and continue to make music and play in the area. Copyright 2015-2019 Big Crown Records. All Rights Reserved.